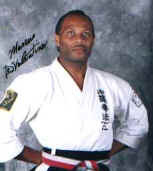 1993 As an Active Competitor, DeValentino was rated #1 in Forms, Fighting, and Weapons Divisions by the State of Hawaii Official Karate Congress due to his accomplishments in these annual events. June, DeValentino is invited by the USA Karate Team to participate on the team competitions in Europe. DeValentino again rates #1 in Forms and Weapons by the Official Hawaii Karate Congress. 1995 DeValentino Rates #1 in Forms and Weapons by the Hawaii Karate League (Chuzo Kotaka). 1995 AAU National Vice-chairman for Chinese Martial Arts, and Open Division. DeValentino wins gold medals in Forms and Weapons divisions at the 21st Annual Winter Open Karate Championships. Inter-island Karate-do Championships, Bronze winner in Forms, and Weapons. IKF Invitational Karate Championships by Chuzo Kotaka DeValentino wins Gold Medal in the Men’s Black Belt forms. 8th Annual Martial Arts Federation Championships by Chuzo Kotaka. 1st Place in Men’s Black Belt forms. 37th Annual All Hawaii State Karate Championships, Gold Medal - Weapons, Bronze - Kata, and Bronze in Sparring. 1996 DeValentino television production “Karate Stars” becomes a series. 37th All Hawaii State Karate do Championships - Chuzo Kota Aiea, Hawaii. Korea: Grand Master Park, Min Suk Sung. Hawaii: J. Bunch, Master Song Ji Sung, Master Kang, Professor George Iversen, Frank Consillio, Hai Laventure, Ramon Valle, Sigong Edmund Lewis, and Sifu Lloyd McKee. East Coast: George M. Epps . EDUCATION: Alumni of Chaminade University of Honolulu. Click twice on the play button to see Marcus in Action! Click HERE for a bigger screen.